You can fly a private jet almost anywhere. From the most remote and exclusive luxury destinations to always popular in Miami, New York or Cabo San Lucas, passengers on private jets have limitless options. With Labor Day fast approaching, where do private jet travelers choose to celebrate the remaining slivers of summer? Explore the top five private jet destinations for Labor Day 2017. Known for its quirky charm, Telluride has a quaint appeal and unique history snuggled amidst 9,078ft of elevation. 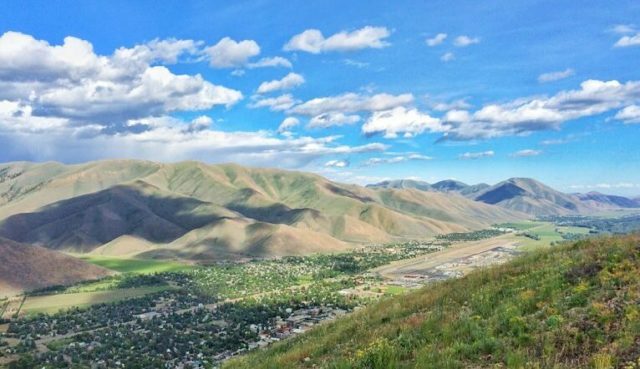 Known as one of the top winter ski destinations, the town is a summer hotspot filled with hiking opportunities, distinctive restaurants, and the closest stoplight 45 minutes away. Small-town nirvana is easily found via a short flight from Los Angeles. Labor Day draws private jets to not only the city, but to The Hamptons and White Plains. For both fast-paced ambiance or relaxed seaside journeys, New York is a destination for luxury; no matter what the occasion. Culture, food, and fashion are all experienced in one place, and if that is not quite enough, London, Monaco, and Miami are a short hop away. A popular summer destination, Martha’s Vineyard and Nantucket are only accessible by boat or air. There is a small village feel in Nantucket; with shingled cottages and many ‘cash-only’ establishments. Martha’s Vineyard operates as if someone found a pause button to time. For a ‘world’s away’ escape by private jet, there are little comparisons to the two Massachusetts’ hideaways. In the summer, the winter resort town of Sun Valley is a mecca for media and tech moguls; claiming host to a ‘Summer Camp For Billionaires‘. Between lucrative deals or relaxing— swimming, fly-fishing, rafting, and paragliding are a few of the activities that visitors may enjoy. Spend the night in a Yurt for a ‘glamping’ experience or the iconic Sun Valley Lodge; where Ernest Hemingway, the Kennedys, and Marilyn Monroe were also once guests. The Bahamas heats up for Labor Day as private jet setters steal away to teal-tinted waters and soft white sand beaches of this top luxury destination. The highly anticipated Baha Mar, as well as a handful of luxury boutique hotels and farm to table restaurants have recently splashed onto the scene; offering even more options to a place with unlimited opportunity. For a quiet escape, charter a private yacht and explore the beauty of neighboring Harbour Island or Eleuthera. Dreaming of an escape to one of these destinations or more? Contact the charter department at Clay Lacy. Book early for the widest selection of aircraft.